MyQ mobile app lets you receive alerts and control the opener from anywhere when paired with the MyQ Internet Gateway (828LM sold separately). Wall mount design and quiet DC motor eliminate noise and vibrations through the ceiling and providing smooth operation. Lifting Power operates doors up to 650 lbs. Battery Back-up capable to ensure access even when the powers out. (475LM sold separately). Warranty: Lifetime motor, 5-year parts. The Protector System® auto reverses the garage door if there’s an obstruction. Remote Light (380LM) Can be placed anywhere in the garage for additional lighting. Uses (2) 100 watt bulbs or CFL equivalent (not included). Power Lock Deadbolt Operate up to three garage door openers or MyQ Light accessories. 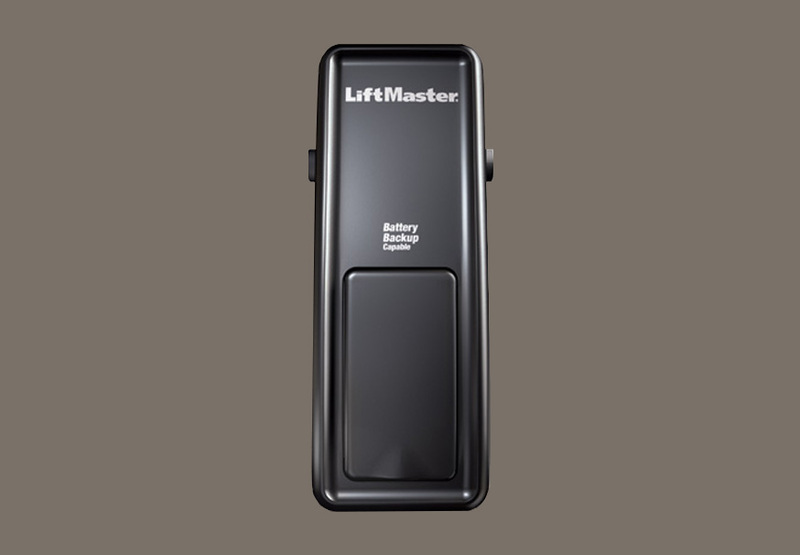 Compatible with all LiftMaster Garage Door Openers manufactured since January 1993. MyQ Control Panel (888LM) Equipped with the Timer-to-Close feature, which automatically closes the garage door after a pre-programmed number of minutes. Motion detector activates the garage door opener lights.